Mayne Stage announces its new "Movies at Mayne Stage" program November 16, Family Groove Company November 24, plus WildClaw Theatre's Deathscribe 2010 on December 6. Tickets for new shows are on sale Friday, October 29 at www.maynestage.com or (773) 381-4554. WFMT continues to broadcast live from Mayne Stage every Sunday at 11 a.m. Tickets to attend are $10. Check www.maynestage.com for a complete schedule of performers. Mayne Stage announces its new "Movies at Mayne Stage" program with life-size feature films on its 22-foot screen. Tickets are just $5, and when two film tickets are purchased, guests receive 20 percent off dinner prior to the movie. 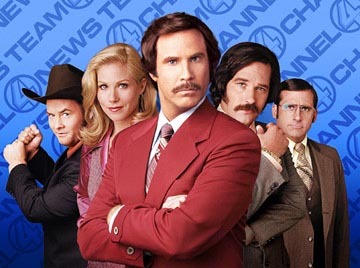 The first "Movies at Mayne Stage" is Will Ferrell's Anchorman Tuesday, November 16 at 8 p.m. Doors open at 7 p.m. The discounted dinner promotion is only available on the same night as the film. Tickets are available at www.maynestage.com or (773) 381-4554. Groove to the music of Family Groove Company, a four-piece band hitting Mayne Stage Wednesday, November 24 at 9 p.m.
Chicago-based Family Groove Company has been turning heads and catching ears with a fresh sound since 2002. Family Groove Company integrates the groove sensibility developed by funk/jazz crossover artists, enveloping audiences with the fun, excitement and passion that radiates from the stage. Band members include Jordan Wilkow (keys), Janis Wallin (bass), Adam Lewis (guitar) and Mattias Blanck (drums). Learn more at www.familygrooveco.com. Thinner Teed opens for Family Groove Company with a kaleidoscope of musical genres including jazz, funk, blues, reggae and rock 'n' roll. Learn more at www.reverbnation.com/thinnerteed. Listen to the "groove informed jazz/rock" sounds of Family Groove Company November 24 at Mayne Stage. Doors open at 8 p.m. Tickets are $10 on sale Friday, October 29 at (773) 381-4554 or www.maynestage.com. Mayne Stage hosts WildClaw Theatre's Deathscribe 2010: 3rd Annual International Horror Radio Festival Monday, December 6 at 8 p.m.
WildClaw Theatre brings the world of horror to the stage, attracting an audience craving strange journeys of dread, suspense, horror and wonder. Deathscribe 2010 features five original horror plays, selected from nearly 1,000 submissions. Guest directors for Deathscribe 2010 include Lance Baker, actor/director and A Red Orchid Theatre ensemble member; Nic Dimond, director/scenic designer and Strawdog Theater artistic director; Bob Fisher, director of The Mammals Theatre Company; Carolyn Klein, actress/director and Seanachai Theatre ensemble member; and Greg Kolack, director. Learn more at www.wildclawtheatre.com. Enjoy a "horrific" performance with WildClaw Theatre's Deathscribe 2010 December 6 at Mayne Stage and see which play wins the "Best of the Fest" bloody axe award. Doors open at 7 p.m. Tickets are $20 at www.maynestage.com or at (773) 381-4554. 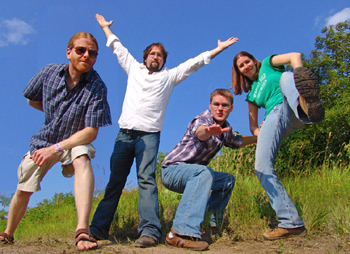 Chicago-based indie rock group Kelroy, opens for Rough Cut Thursday, November 4. Learn more at www.myspace.com/kelroymusic. Doors open at 8 p.m., the show begins at 8:30 p.m. Tickets are $10 on sale now at (773) 381-4554 or www.maynestage.com. Mayne Stage is located at 1328 W. Morse Ave. in Rogers Park, on the north side of Chicago. A wide range of performances are held at Mayne Stage including concerts from varied music genres, comedy acts, theatrical shows and more. Mayne Stage is also the perfect place to host a private party or event. Visit www.maynestage.com or call (773) 381-4554 for more information, to buy tickets, or see a list of upcoming shows. "Like" Mayne Stage on Facebook at www.facebook.com/MayneStage and follow Mayne Stage on Twitter at @MayneStage.